Señor and Pedro left Evolution Canine with a whole new skill set and attitude. 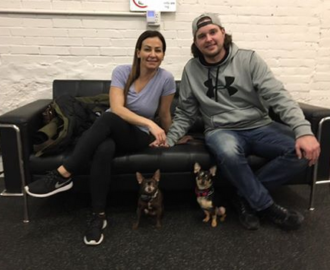 Kristen and Ryan struggled with their dogs’ lack of attention and obedience and were starting to limit where they would take them due to some intense dog reactivity. I’m happy to say that with all the work they have put in they are now able to go anywhere and cruise right by any dogs they please. Órale!